Properties in Naprstek Museum average 4.3 out of 5 stars. 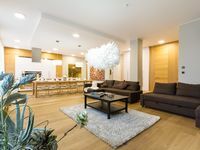 Spacious King Wenceslas Studio apartment in Nove Mesto with WiFi & lift. Property 56: Spacious King Wenceslas Studio apartment in Nove Mesto with WiFi & lift. Property 60: High End Designer Luxury in the Heart of Old Town. Spacious, quiet, perfect! Property 82: Building Na Zborenci right in the city center! 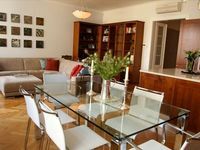 Property 86: Wenceslas Attic V apartment in Nove Mesto with WiFi & lift. Beautiful residence in a pretty much perfect location. Staff were very accommodating in working through some unexpected challenges. Overall we were very impressed! Thank you to Romana and Lenka for making our stay wonderful.